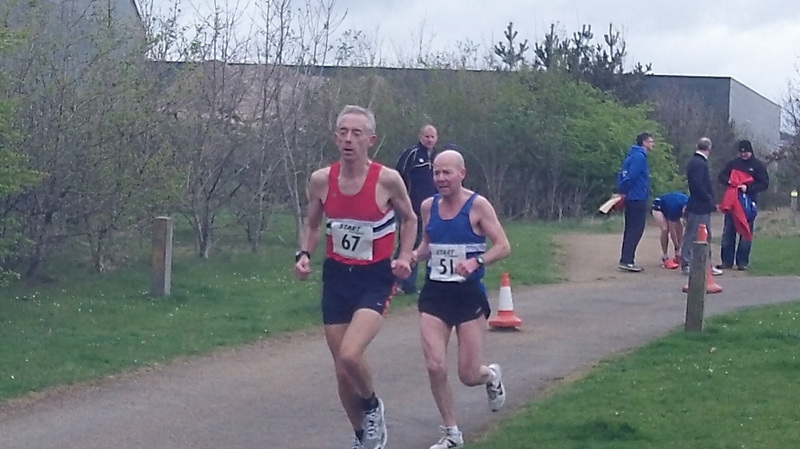 As is tradition in the North East running world, Good Friday saw one of the most popular events on the calendar when Elswick Harriers hosted the Good Friday Road Relays. The event's numbers have been affected in recent years as some runners choose to miss the race in favour of the North Tyneside 10k on Easter Sunday. However this year still seen a total 75 full teams finish the race and there were some great performances and athletes on show. The 2.25 mile course, over 4 legs for the men and 3 for the women, had to be adjusted due to the normal course being unaccessible for runners. Hosts Elswick dealt with the setback with little fuss and the 'double out-and-back' course proved popular with runners and spectators and the marshalls have to be credited for dealing with the large influx of athletes running up and down the same paths. The race itself was not decided until a strong leg by Morpeth's Nathan Shrubb on leg 3 took the race out of the grasp from Sunderland. The first leg was won by Shildon's 18 year old Junior International Cameron Boyek. A talented athlete who has not been phased in the few Senior events that he has ran so far, powered away from Newham's Stephen Hepples for the 2nd fastest time of the day. As these two runners were running in incomplete teams, it was Sunderland who then took the lead at the start of leg 2, Oliver James handing over at the end of the leg ahead of Morpeth, Gosforth and Gateshead. It was then Morpeth's time to dominate the race, Shrubb taking the lead midway round the third leg to record the 3rd fastest time of the day. Sunderland were still in contention but with Peter Newton standing on the start line ready to run the anchor leg for Morpeth, the result was never going to be in doubt. Newton went on to record the fastest time of the day and led his Morpeth team to a 94 second victory over Sunderland with Gateshead finishing in 3rd. It was another clear win in the Veteran's race as Sunderland ran out victors by 58 seconds but it was the race for second place that caught the excitement of the spectators. The Wearsiders took the lead on leg 2 thanks to a good leg by seasoned campaigner Ken Bell and were never headed after fielding big guns Brian Rushworth and Paul Merrison on the later stages. 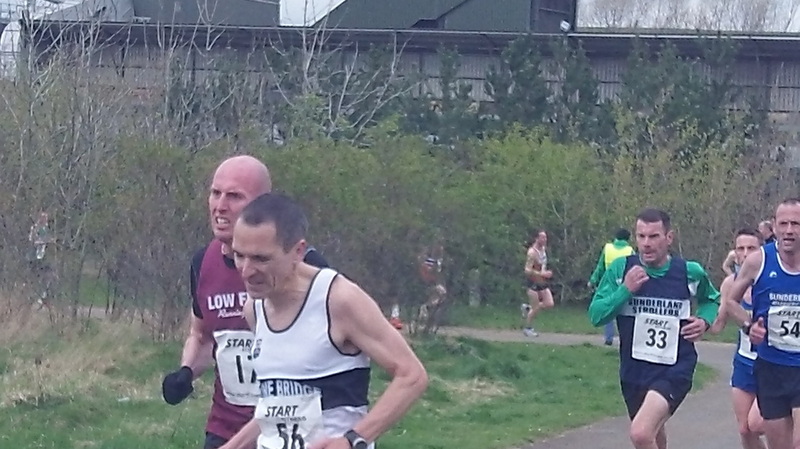 Heading into the last leg, Morpeth had a 13 second advantage over Tyne Bridge Harriers in the fight for second place as Kenny Macpherson chased after Phil Walker for the silver medals. As Sunderland were celebrating their win, Macpherson had reduced the deficit to Walker by about 10 seconds and in a big sprint finish, it looked as though Highlander Macpherson had pipped his Morpeth rival on the line. However, the official results had the two teams tied for second in what was a thrilling finish. The fastest Veteran time of the day went to Sunderland's Brian Rushworth. 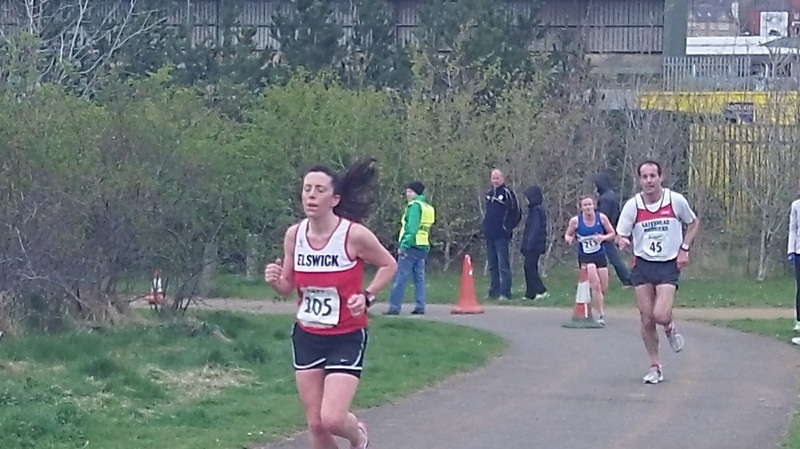 Jarrow and Hebburn were comfortable winners of the ladies race. Once Alex Snook handed over at the end of the first leg with a huge 1 minute 19 second lead the result was never in doubt. The winning margin was extended slightly to 1 minute 26 at the end thanks to solid runs from Elaine Lesley and Sarah MacDonald. Second place went to Morpeth Harriers who nevertheless had the distinction of having the fastest athlete of the day. Jane Hodgson's time of 11.55 was 17 seconds faster than Snook's figures. Claire Simpson of Jarrow & Hebburn was the third fastest of the day, just 4 seconds behind clubmate Snook but as she is not eligible to compete in team races after her recent move from Chester le Street, she was not able to count in the results. North Shields Poly were victorious in the Veteran ladies race 37 seconds ahead of Sunderland Strollers. Another typical, great start to the Easter break with a well organised, friendly and competitive event. 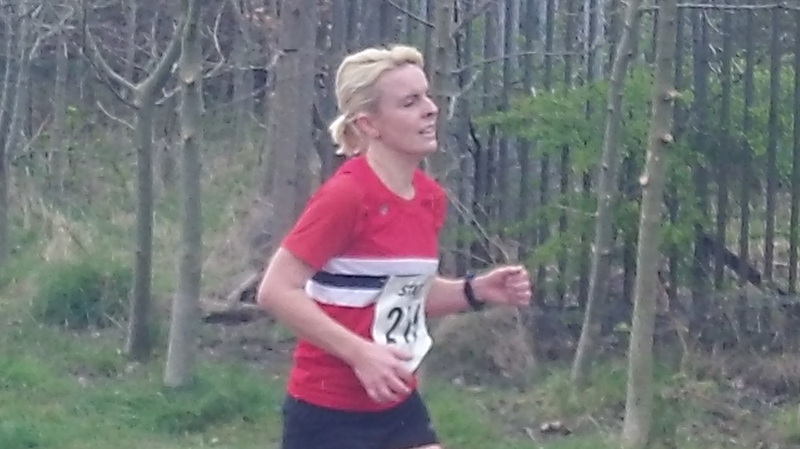 A huge thanks must go to hosts Elswick Harriers, none more so than Jill Bennett, who worked tirelessly in getting the results completed, despite a number a problems. For men's results click here. For ladies results click here. See below for video footage of the day. Check out our race and reports service by clicking here. If you want to share your pictures with the North East running world then get in touch and let us know by clicking here.